For his latest release, the South African rapper/producer teamed up with rappers Bo Malone, Sy’ Defect and AJ Lyrics who take turns in firing flows over erratically-dope bars. 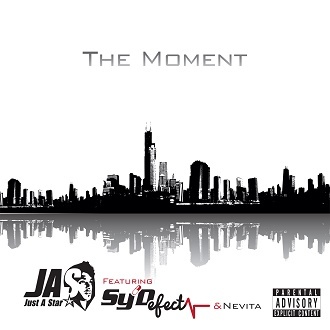 Sy’ Defect previously work with J.A.S for tracks The Moment/The Takeover. 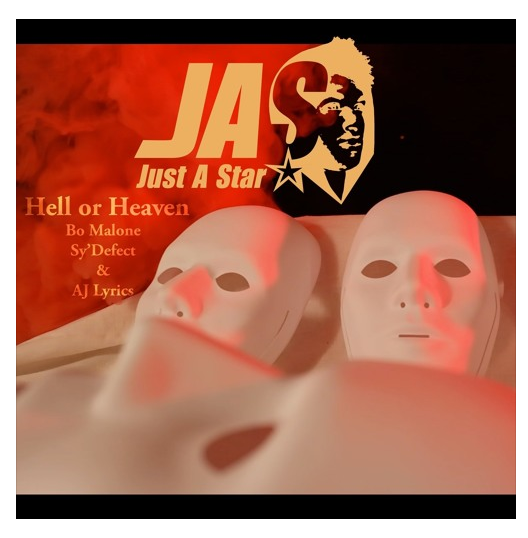 Jayd Soliar – aka J.A.S (Just A Star) is in the NEW LEASE MUSIC interview seat this month. His collaborative club filler, ‘Set Me Free’ stole the top spot back in April. So I think it’s about time we get to know this talented rapper/producer/songwriter from South Africa – after you read the full interview, you’ll know him better than you know yourself! Happy reading! J.A.S: Hey, I am great! Thanks for the interview and thanks so much to New Lease Music for always showing love. Will definitely be giving you the exclusives on any new tracks I release. NLM: So tell us a bit about yourself? J.A.S: ‘ve been pursuing this music thing for about 15 years now. I started off as a songwriter, writing lyrics in primary school for both myself and others. It was very basic at the time, but it was a start. I began rapping soon after, my friends and I would form cyphers and just rap all day. Hip-Hop was in my blood due to my brother and neighbourhood friends introducing me to the genre at a very young age. I moved to a new high school and met two guys who were also passionate about Hip-Hop and we formed a rap group. This is the point when I started making beats. I started off using beat making software such as FL Studio, then moved to Acid Pro and Reason. I invested in recording gear and we began to record our first project. We were together for two to three years recording and performing around Durban, South Africa. After high school, I moved to Johannesburg, South Africa to study music production and this where I was introduced to the music software Logic Pro which I still use today. I began working with the amazing vocalist Nevita, who you will hear on many of my songs; she is the vocalist on my single, ‘The Moment’. We formed a group and produced an album together. A few years later we met another talented producer/engineer and formed another group called Tiger.X. We began producing electronic music and had great success with it. Overtime I perfected my craft and created my own unique sound. So jumping to 2015, I decided to pursue a solo career as a producer, engineer and rapper. My debut album, as J.A.S, is the embodiment of this whole journey and thus took at least 10 years to make. 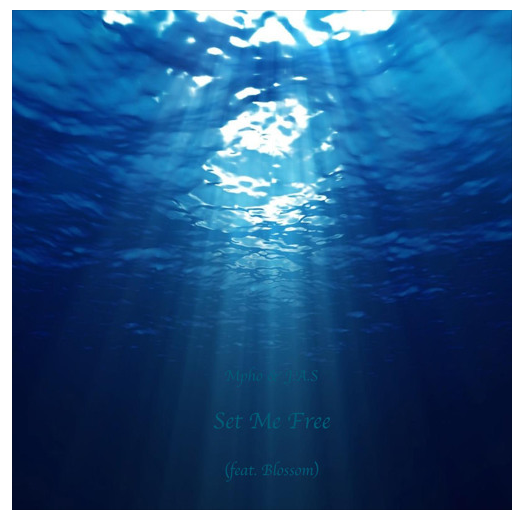 NLM: Your collaborative house track, Set Me Free, went down a treat with the readers on NEW LEASE MUSIC. What was the public’s reception of the track beyond the blog? J.A.S: Everyone loved the track. I received a lot of messages on my social medias from fans showing love. I’ve received a huge number of streams on various platforms. The House scene is big in South Africa, so Set Me Free took off well. The hard part is maintaining the hype. NLM: Your discography comprises hip-hop and (of course) house music. Are there any plans to cover other genres in the future? J.A.S Well I produce and engineer many different genres for other artists, such as, Rock, Blues, Jazz, etc. I produce music from emotion and feeling, so whatever I feel at any point in time I will produce. At the moment, I just completed my Hip-Hop album titled L.I.F.E: The CAUSE, I’m in the process of finishing up my collaborative House album with Mpho and I’m also producing Sy’Defect’s EP, who is the rapper on The Moment. NLM: What’s your proudest work/track to date and why? My entire album, L.I.F.E: The CAUSE is my proudest work. It’s a journey through different moments in life. When you listen to the album, all songs lead into one another to create one whole story. It is my life’s journey and everyone will be able to relate to it. It’s too hard to choose a single song that I am most proud of, as I am proud of them all in their own way, but my favourite song on the album is ‘Scattered’, because of the authentic emotion that I managed to capture and portray. I’ve listened to it hundreds of times and it doesn’t depreciate in its emotional value and impact. J.A.S: This is a tough question. If I had to choose any rapper to collaborate with, it would be Eminem. From the newer rappers, I would choose Kendrick Lamar. My dream, however, is just to be in studio with Dr.Dre. J.A.S:• Eradicate the corruption in the industry. Radio plays are being bought, awards are being bought, many other corrupt dealings are transpiring and it really needs to stop. • A better way to consume music than online distribution and streaming because it has degraded the quality of music and devalued the time and effort that the artists, producers and engineers put in to create the music. I don’t have a solution, but I think there will be one within the next 5 years. • Lastly, investing in artist development and mentorship is important. If record labels invest in mentoring and developing their artists, the artists would have longer lasting careers, not one-hit-wonders or one-year-wonders. The problem is that labels don’t want this, because to them artists are disposable objects that have a sell by date. They acquire the artist/s for 2 years or less and then dispose of them and move on to the next. NlM: So what plans do you have for 2017? Any upcoming gigs or album? J.A.S: I plan to release my album this year, I am just working on the best marketing deals so that when I drop it, it’s an explosion that has a long-lasting effect and not just hype for one week. I’m also working on a few gigs, I think the last quarter of 2017 is going to be good for J.A.S. J.A.S: I can’t see myself doing anything but music. I’ve always been fascinated by sound, I often record natures sound and produce music out of those sounds. I used to take a rock and throw it against another rock, record that, manipulate it a bit and that would be my kick drum. So basically, I construct different sound elements together to create ‘music’, so if music didn’t exist I would be the person who creates it. Lol I just curved this question. Ok, if not music, I would be a sound therapist. I studied sound frequencies and brain waves, and sound frequency can be used to alter brainwaves and entrain the brain to follow a certain pattern, therefore, sound frequencies can be used to alter emotions and cure various illnesses. He scooped NEW LEASE MUSIC’s Music Video of the Week title for singles, ‘The Moment/The Takeover’ and now J.A.S is back, teaming up Innocent Mpho Seema – otherwise known MPHO – for a brand new infectious housey number, entitled ‘Set Me Free’. Their latest offering boasts a bombastically heavy tribal-esque bass with blissful vocals, provided by Blossom, giving the club filler a sweet lick. The two met back in 2015, when they discover a common love for unique house music, leading to the start of their collective, Mpho & J.A.S. 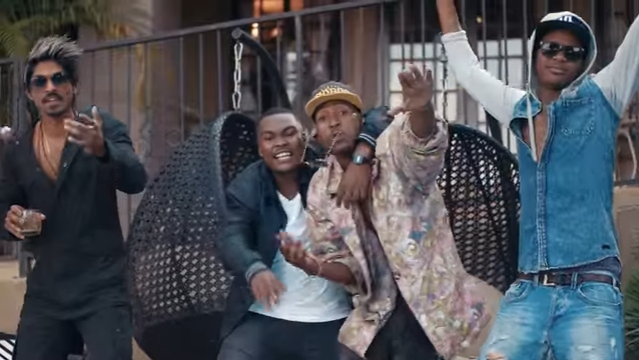 Their first single titled, ‘Ngiyakholwa’, generated attention on radio and online. Away from the collective, MPHO has made a name for himself as a pianist for big band jazz group, ODD Meter and also as a percussionist for PolyrithmiX and Nubia Soul. The Music and Production graduate played drums for CRC Music band, before delving into the house music scene, co-founding the House band, Sa Kosha ke Lerole. As well as being a reputable rapper in South Africa, J.A.S (Jayd Soliar), puts life-long passion of house and electronic music into co-founding Tiger X, which garnered support from major tastemakers across his homeland and globally. Let your weekend start now and hit the play button on ‘Set Me Free.’ If you’re feeling this track, look out for their album, coming out later in the year. Enjoy and Happy Good Friday! 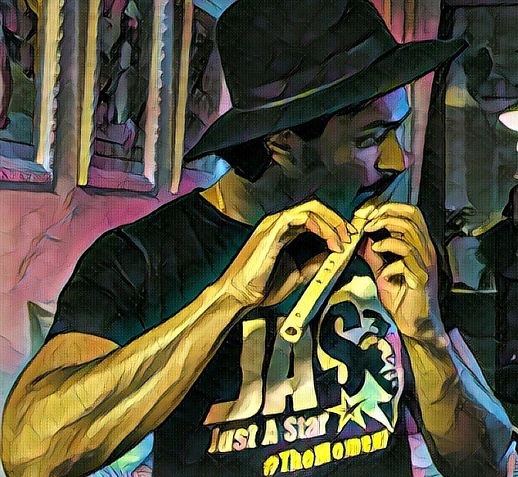 Producer, Composer, Songwriter, Rapper and Engineer, J.A.S (Just A Star) has dropped his debut solo single, The Moment earlier this month on iTunes. The University of Chichester Music Production graduate had success in the South African music industry with electro pop/hip-hop group Tiger X, whose single was number one on the UJFM top 40 for over ten consecutive weeks as well as charting on a string other radio stations. 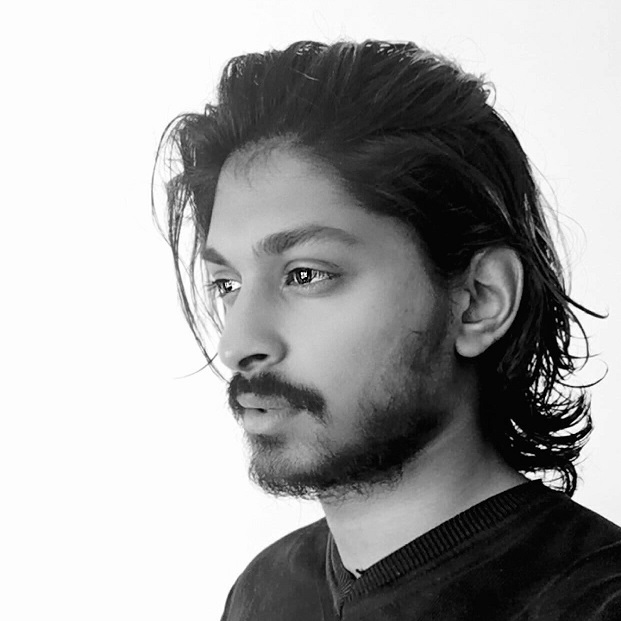 Along with his solo career, J.A.S -whose real name is Jayd Soliar – is currently doing post production and sound design for the biggest 2D animation company in South Africa, Sea Monster, as well as lecturing at the Campus of Performing Arts (COPA), Pretoria, South Africa. To add to the busy schedule, he’s completing his debut album, which he plans to release in 2016…so look out for that; but for now, have a listen to The Moment. To check out his work with Tiger X, head right here.